I confess, I haven't been doing any of the things I should be -- like dyeing scarves for Saturday's show. Instead I'm answering a call from our hospital for more prayer blankets like the ones you see here. 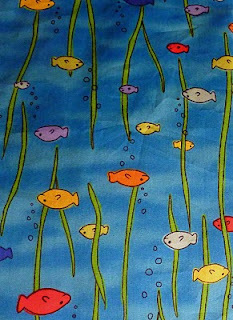 These are just two yards of fabric -- one for the back and one for the front -- sewn right-sides together, turned and then topstitched around the edge. The hospital offers these to each patient who has an overnight stay as part of their alternative/holistic healing program. The patients chose one to keep it with them during their stay and take home when they leave. The program has been such a big success that it is hard for them to keep enough blankets on hand. And of course this is all done by volunteers who provide the fabric and sew the blankets. They also ask that the blankets be blessed by you or your church members or whoever can pass along healing energy to the patients. 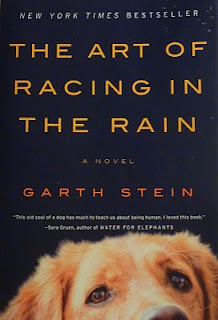 And I started to read The Art of Racing in the Rain by Garth Stein and couldn't put it down. It's both heart-wrenching and funny, about family love and loyalty and all told by Enzo, a philosophical dog who thinks he is almost human. Yes, there are a few tear-jeking moments but you'll get a good warm feeling the whole time you're reading it.